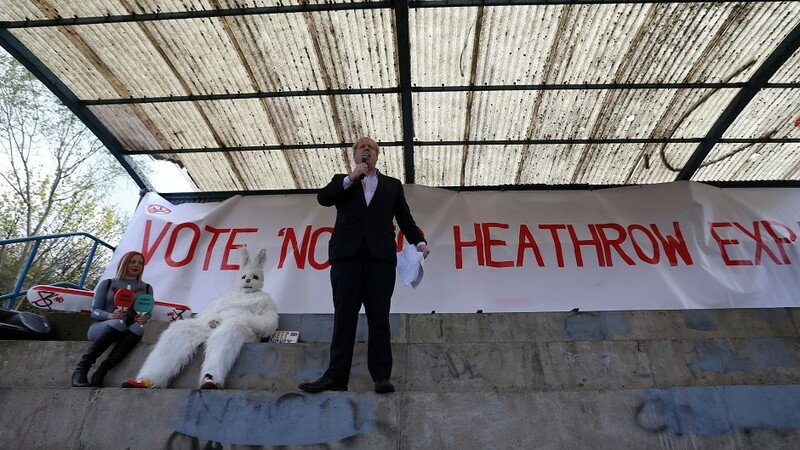 File picture of Mayor of London Boris Johnson speaking at a rally in Barnes, London, against the expansion of Heathrow Airport. London mayor Boris Johnson has warned the north air passengers could be left out in the cold if controversial plans to build a third runway at Heathrow are backed. The Conservative MP fears Inverness would have little chance of winning back routes to the key hub – and that Aberdeen would lose them altogether. He insisted the only competitive long-term solution was to build a four-runway airport to the east of London – a proposal dubbed “Boris Island” when it was first unveiled. Mr Johnson spoke out as it emerged Britain’s most senior civil servant had warned members of the UK Government not to comment publicly on the Heathrow issue. Cabinet Secretary Sir Jeremy Heywood is understood to have written to ministers cautioning them against making public statements on the third runway proposal. Mr Johnson accused Heathrow of “failing our regions for well over a quarter of a century”. He added: “Quite staggeringly, the Airports Commission’s own analysis shows that the construction of a third runway only worsens the situation. “That is not how you rebalance the economy and spread prosperity across the UK. The UK Government is currently considering the commission’s final report, which recommended Heathrow expansion, and Prime Minister David Cameron has said he will make a decision by the end of the year. Commission chairman Sir Howard Davies rejected the proposal for the “Boris Island” airport on the Isle of Grain in the Thames estuary as unviable on the grounds of cost, economic disruption and environmental concerns. Business leaders and politicians were quick to emphasise the importance of hub connectivity to the north and north-east. SNP transport spokesman and Inverness MP Drew Hendry said increased runway capacity – wherever it was made available – must be seen as a national infrastructure project. He also insisted it was vital for both business and the tourism sector to put an end to the “here today, gone tomorrow” scenario. “I will, along with SNP colleagues, continue to press the UK Government for formal assurances of a defined minimum level of access for flights to and from Scotland,” he added. Northern Isles MP Alistair Carmichael said it was not for the mayor of London to “grant or deny” links between Highlands and islands airports and London. James Bream, research and policy director at Aberdeen and Grampian Chamber of Commerce, said the UK’s limited hub capacity was risking the nation’s international competitiveness. He said: “We have been clear on our position regarding the connectivity of our region for some time now. “Aberdeen relies on international connectivity and decisions on our hub airport capacity are taking too long. Aberdeen City Council leader Councillor Jenny Laing said the city’s “global profile” was considerably helped by easy connections. A Gatwick spokesman agreed with Mr Johnson that an expanded Heathrow would limit the number of connections to places such as Inverness and long-haul services. But a Heathrow spokesman said the commission had confirmed expansion would “markedly improve UK regional connections to the hub” and “reverse the trend of declining links between London and the rest of the UK”. 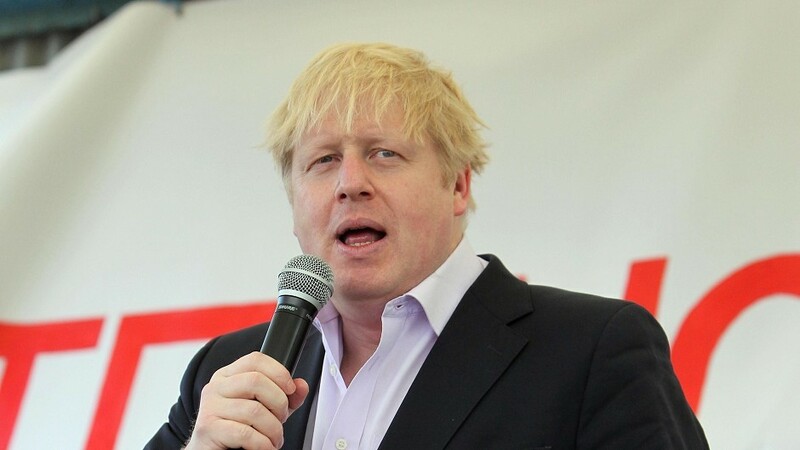 He added: “The mayor of London is absolutely right that an expanded Heathrow must deliver improved domestic connectivity and it will. Just days ago a group of prominent Scottish businessman signalled their support for the Heathrow third runway project. Among those endorsing scheme were Martin Gilbert, chief executive of Aberdeen Asset Management; Stewart Spence, owner of the Marcliffe Hotel and Spa; Stewart Nicol, chief executive of Inverness Chamber of Commerce and offshore industry doyen Sir Ian Wood. The prime minister has said he will make a decision on the Airports Commission’s report recommending Heathrow expansion by the end of the year.